ELIR (Enhancement-led Institutional Review) is one of the five pillars of the university sector's Quality Enhancement Framework (QEF) of 2003. It refers to external reviews of every university, undertaken every four years by the Quality Assurance Agency for Higher Education. ELIR is a process unique to the Scottish sector in a number of ways, not least the focus on student engagement. Not only does an ELIR review look in depth at how students are engaged in shaping quality at each university, it also looks at how well students are engaged in ELIR itself. ELIR cycle 4 will run between 2017-2022 and more details about the process can be found in QAA Scotland’s ELIR 4 Handbook. QAA Scotland have also published ‘Preparing for Enhancement-led Institutional Review’ which provides advice and guidance for institutions on how to approach ELIR. 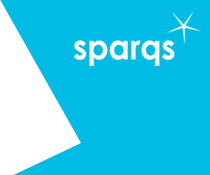 There is much that students - particularly senior student officers with education remits - can do before, during and after an ELIR review, and sparqs offers support in this. We can provide a bespoke session to student officers in universities that are preparing for ELIR, and also provide more detailed consultancy support where required. There is more information about the review of the Quality Enhancement Framework on our Quality Arrangements webpage. You can find out more about ELIR on the QAA Scotland website. For more information, please contact Hannah Clarke.